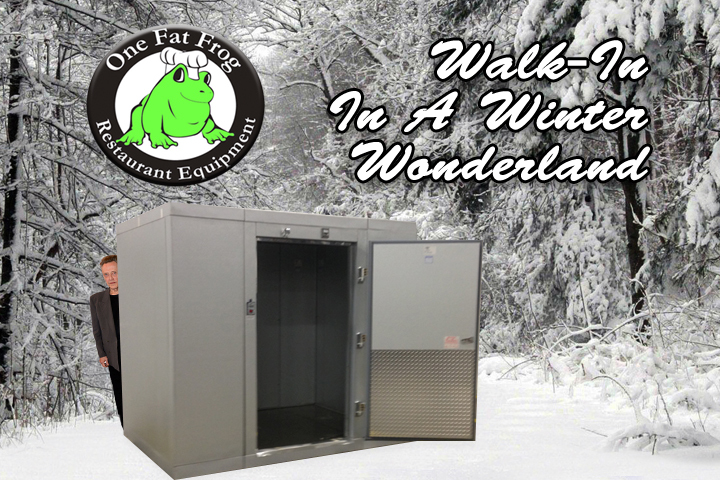 Walk-In In A Winter Wonderland! The puns are rich today at the Frog. I suppose were just getting jumpy for the holiday break. What’s that? We’re not closing for the holidays? We’ll be open regular store hours next week to provide last minute Christmas presents to our valued customers? Well in that case, leap on over to our pad for great holiday deals- like our New 8×6 Walk-In Cooler! What do you think of that Chris? That’s right! You can walk in and get a walk-in endorsed by Mr. Walken. Yeah, I’ll show myself out.